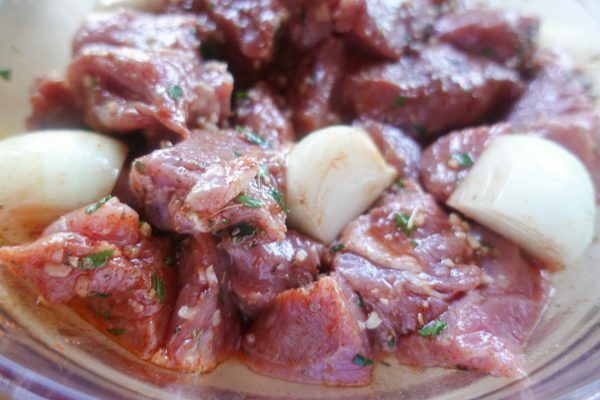 Trim tenderloins of any extra fat and silver skin. Cut into 1″ to 1″ cubes. Add Salt and pepper to tenderloin cubes, then let sit for 5 minutes. Place in a bowl or resealable plastic bag. 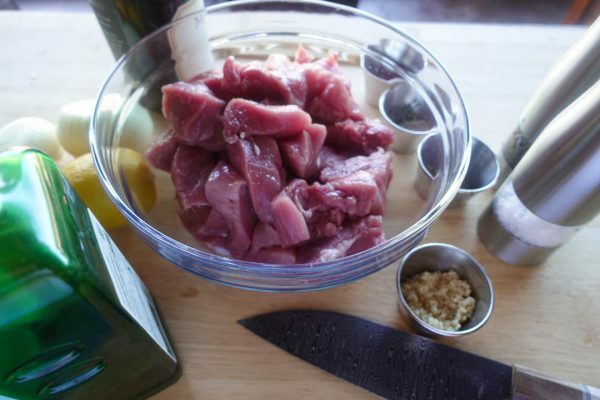 Add remaining souvlaki ingredients to bowl and mix until all cubes are coated. Cover and refrigerate for a minimum of 2 hours. 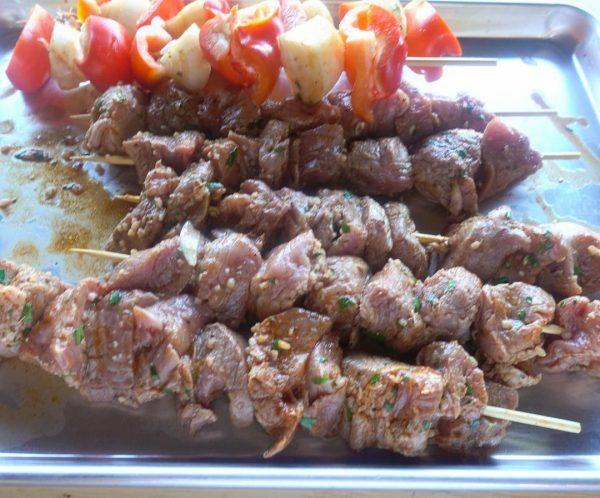 If using wood skewers, soak for 30 minutes. Light grill, and bring up to a medium hot temperature. 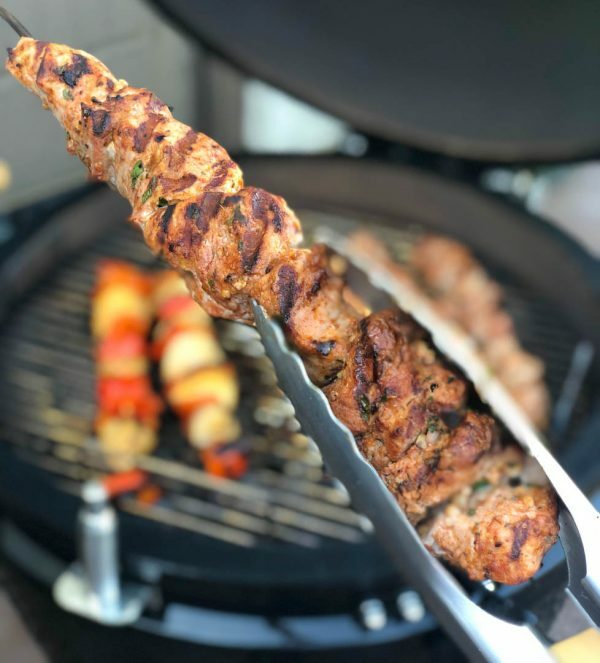 Skewer meat and vegetables. Place on grill and cook for 8-10 minutes, rotating every 2 minutes. 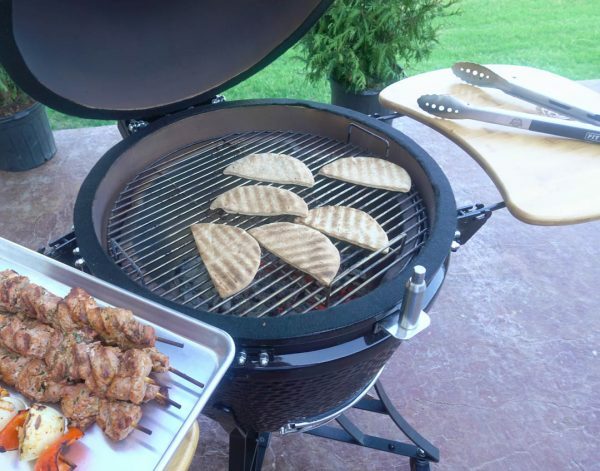 Remove from grill and let rest for 5 minutes while you grill pita bread. Remove and serve with Tzatziki Sauce. 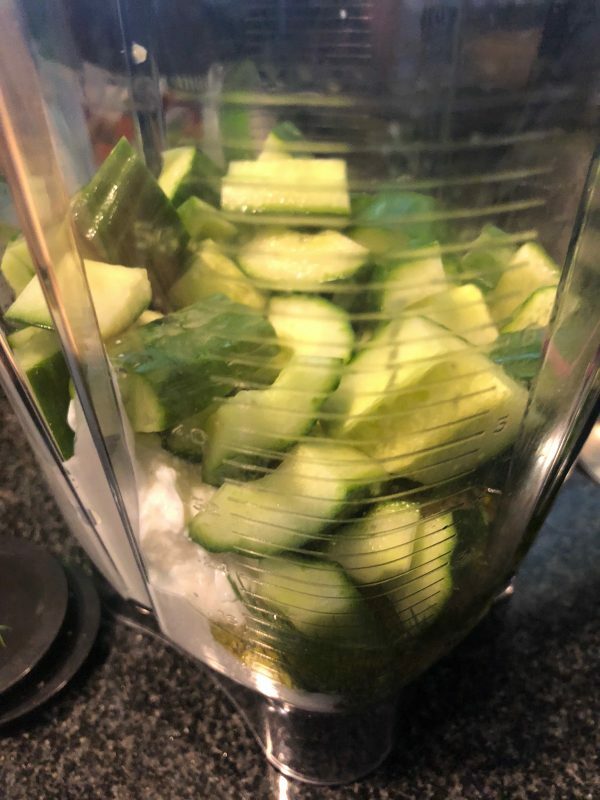 Add all Tzatziki sauce ingredients to a blender and puree. Remove from blender and refrigerate. This is best if it has an hour or two before use to allow the flavors to meld.